Turmoil within the Trump family is the subject of a new cover story in People magazine. The article says President Trump was not happy when his son admitted he messed up by attending a meeting in Trump Tower with lawyer Natalia Veselnitskaya and a Russian lobbyist in 2016. 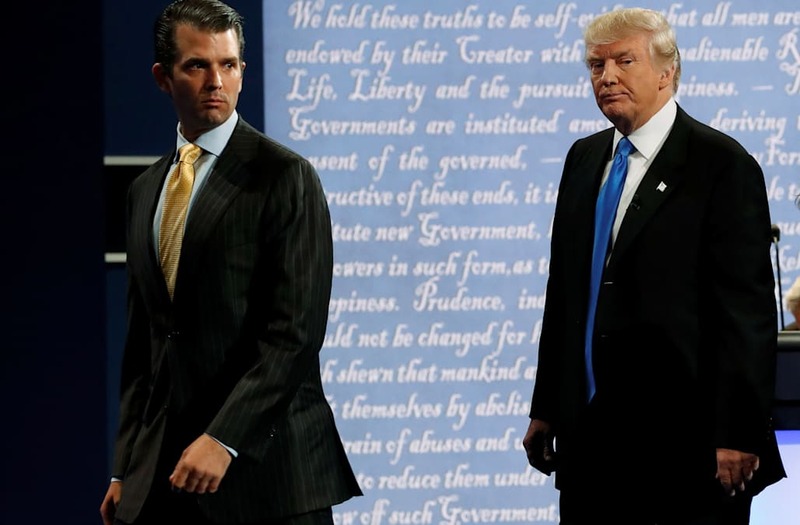 Now, Trump's oldest son, Donald Trump Jr., is reportedly "miserable" and "he can't wait for these four years to be over." Meanwhile, it has been revealed that an SNL skit nearly cost Trump's Chief Strategist, Steve Bannon, his job. Joshua Green, the author of Devil's Bargain: Steve Bannon, Donald Trump and the Storming of the Presidency, says Trump was incensed that Bannon was portrayed as more powerful than him. "He was on the brink of getting fired," Green said. To read an excerpt from Devil's Bargain, click here.